In 1887, at the age of 40 - with a new wife, a new home, a new winter retreat - Thomas Alva Edison set up shop in a new and grandiose laboratory. There he hoped to recapture and ultimately surpass the inventiveness he had enjoyed in the much smaller laboratory he had used a few years earlier. Edison's goal proved elusive. Some of the reasons were personal: the demands of fame and family inevitably drew him away from the laboratory. Some had to do with scale: ten times as many assistants and ten times the laboratory space did not automatically yield ten times the inspiration and creativity. And Edison was to some degree a victim of his own genius. In helping to create new technologies as revolutionary as the phonograph and the electric incandescent lamp, he had also created a world in which he was partly a stranger. 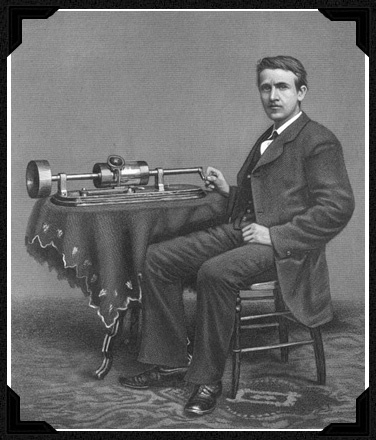 In this new world, Edison could not thrive in the same way he had in the years before forty.